Leading Wholesale Trader of frp earth pit chamber from Ahmedabad. As an ace name of FRP Earth Pit Chamber, we have marked our name very strongly in the market at present. These are non-corrosive in nature and they have been priced at very reasonable rates in the market. 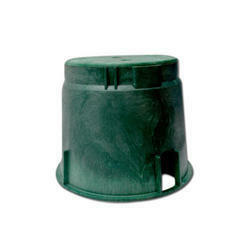 These can withstand extreme working conditions with ease and are high on performance along with superior in quality. They are a neat and practical covering method without the need for tinning, riveting or wrapping the joint.